Patience paid off on our Saturday. High temperatures reached the mid-70s. 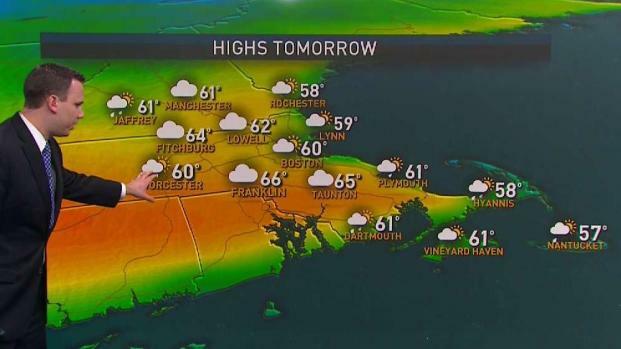 It was the warmest day in Boston since October 10th. Clouds were certainly stubborn to start the day. 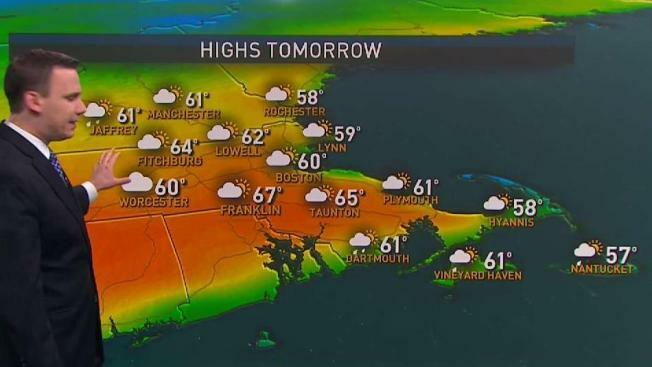 Sunday, clouds win out and it won’t be as warm. If you have outdoor plans, it will be mainly dry. Heavy rain arrives Sunday night. Thunderstorms are likely as well. This system will be fairly progressive, so we should see the heavy rain starting to clear out in time for the marathon. Saturday Night: Partly cloudy. Lows in the mid 40s. Sunday: Increasing clouds. Highs in the low 60s. Monday: Morning thunder and rain. Afternoon clearing. Highs near 70. Our current thinking is that the heaviest rain is done (at least in Hopkinton) by 9 a.m. Unfortunately, we will be threading the needle. The start times are between 9:02 a.m. and 10:50 a.m. Once we dry out, temperatures should rebound into the upper 60s and lows 70s. Midweek will be dry again with seasonable temperatures. The next chance for rain will return by the end of the week. Temperatures are looking warmer from Thursday into Saturday. Cooler air will return by Sunday and early the following week. Our weather looks to remain unsettled through the weekend. Nicer weather should return that Monday and Tuesday.